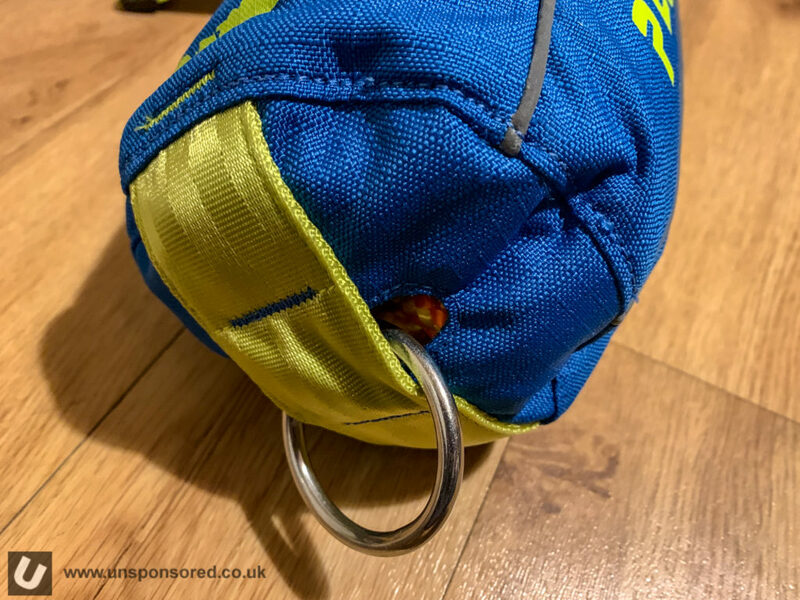 Taken the rope into account the size of the PEAKUK throw bag is much bigger than the HF and Palm Equipment bags. 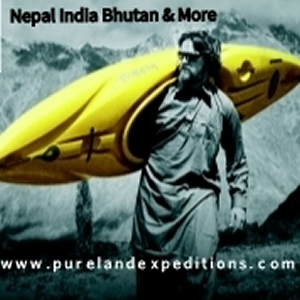 The relative sizes of each of the bags can be seen in the images. The bag comes supplied clean, i.e. 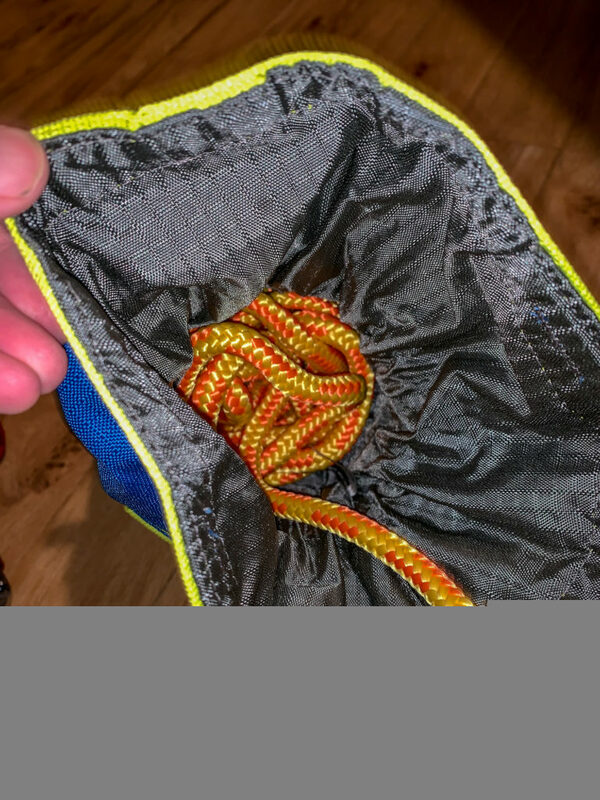 the rope comes supplied with no loops, plastics tubing or knots that sit outside of the bag. 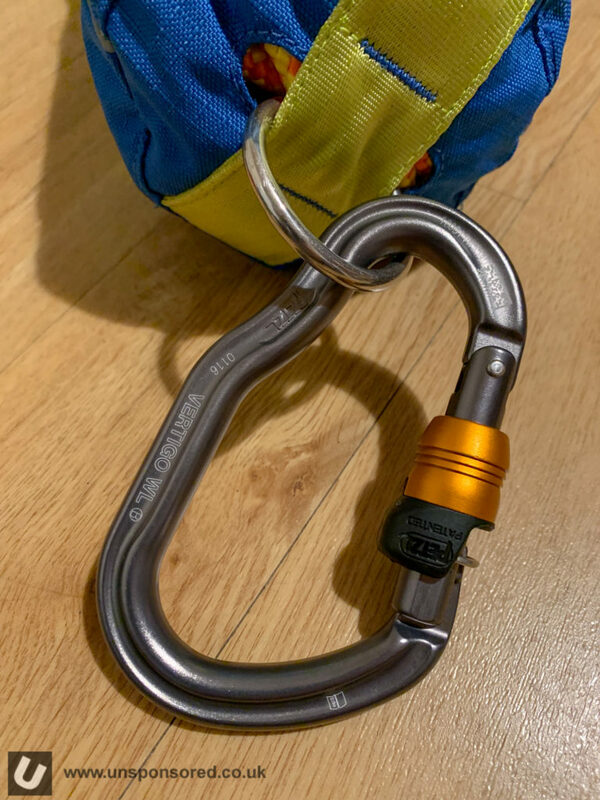 The rope runs into the bag and attached to a marine grade stainless steel ring similar to those found on the back of PFDs and as part of cowtail setups. The rope is threaded through the ring and is secured with a figure eight knot. The use of the ring was first seen in PEAKUKs Bull bag from a few years ago, so it’s great that it now features in the latest line-up. The use of the steel ring is both low profile and super easy to clip into if/when required. The bag comes with a long sleeve that allows the bag to be fastened to a belt for wearing around the waist. This is probably the best version of this system out there. 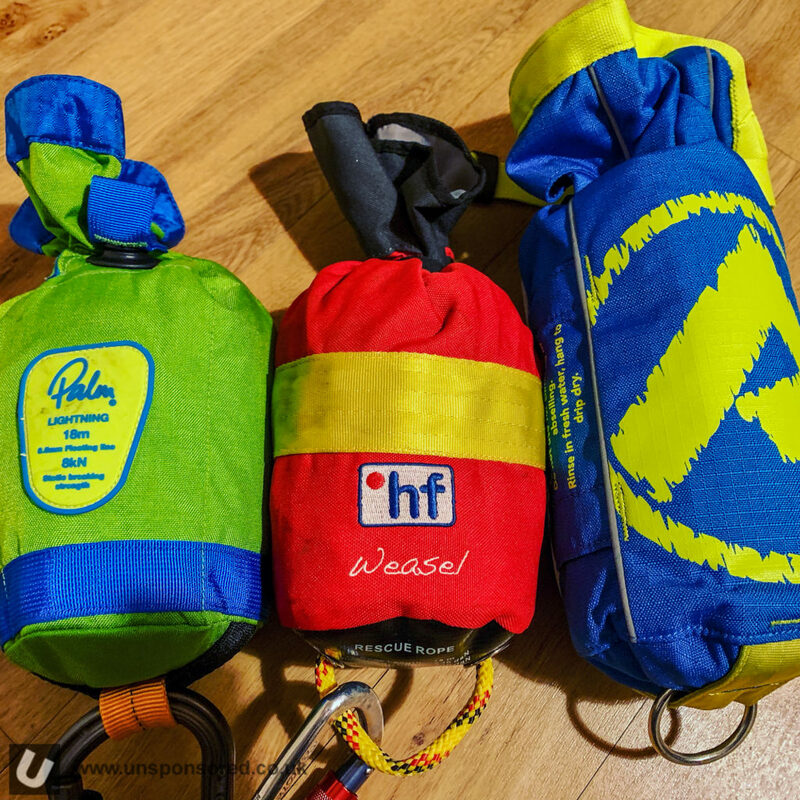 It does take a little longer to thread through than say the HF Weasel or the Palm series of throw bags but it really helps the bag sit well against the body. 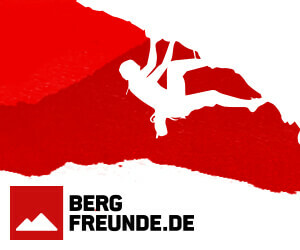 I have tried the bag with the most popular rescue belts available and it works perfectly. If a throw bag is needed in an emergency you probably won’t have any time for a second go! Therefore the most important factors when using a throw bag is how well it throws, and how easy it is to get the bag to land on target. When fully loaded the bag has a good weight to it which helps with the throw and if packed correctly the line feeds out well. I found the bag easy to throw both under and over arm. 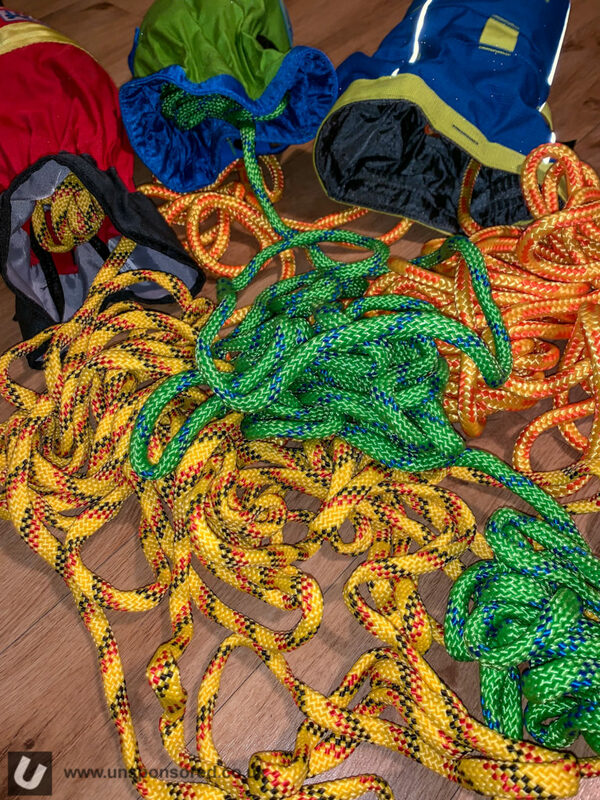 The rope is easy to repack if you do need (or have time) to have a second go or are simply putting it away. 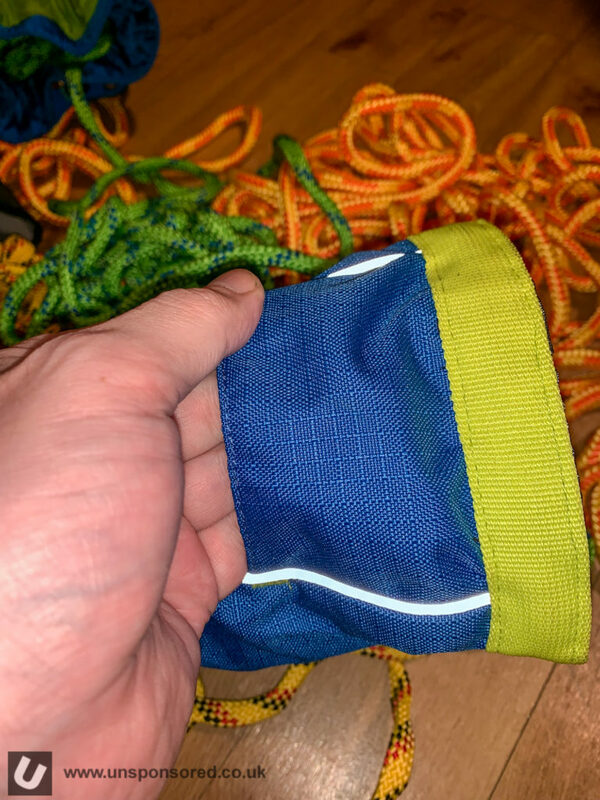 The construction of the top of the bag is very similar to that used in a climbing chalk bag sothe wide opening stays open and is very easy to do back up using the cam buckle and long length of tape. 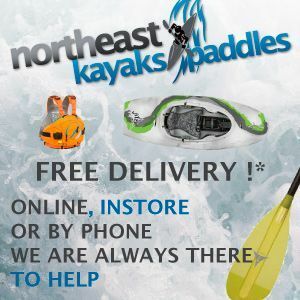 There is even an integrated handle which makes it easier to repack. 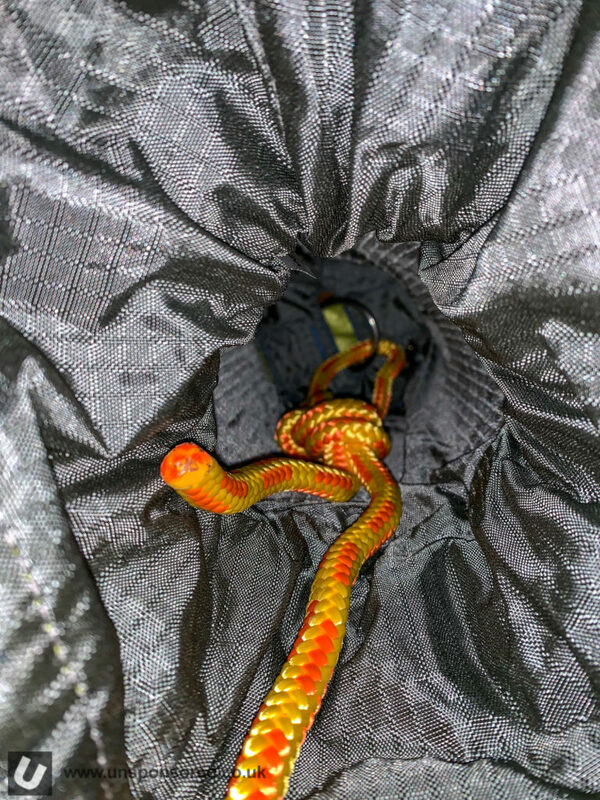 Now with some bags the rope fits inside really well when you first buy it but once its thrown a few times you find that the bag doesn’t pack quite right due to a lack of room. PEAKUK have managed to get the balance just right. Repack after repack at speed the ropes goes in easily and bag remains easy to do close. No fuss, it just works. 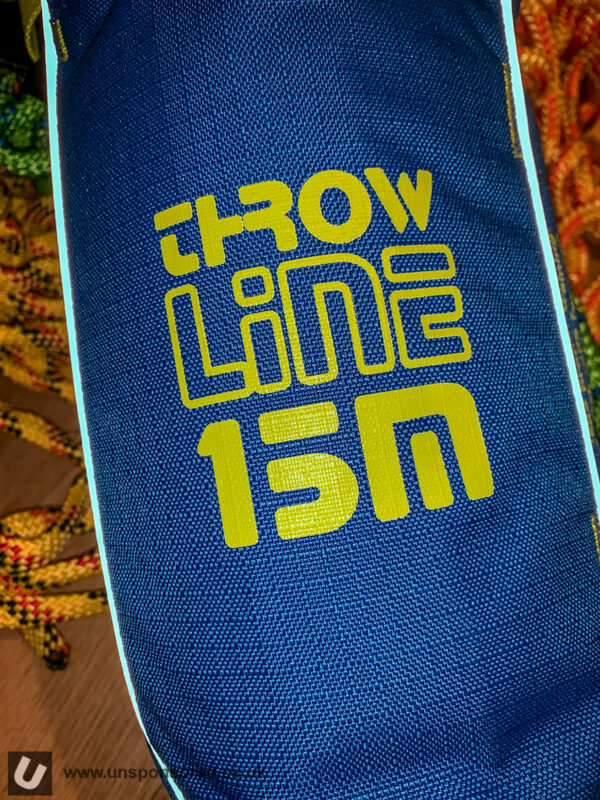 One final note on throwlines in general. 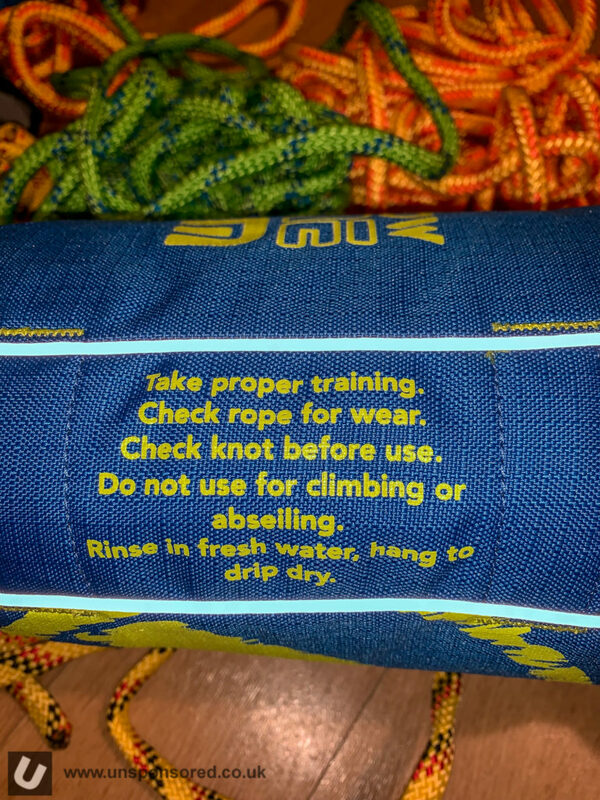 If you intend to carry one/use one please make sure you have the means to cut the rope i.e. carry a river knife.